Yesterday I got the email that millions of other people got in regards to Evernote resetting my password due to someone hacking into their user data system. After following the very geeky discussion about it in /r/netsec I was left wondering if I was placing too much faith in Evernote to protect all the brain dumps, notes, files, and private information I like to store in it. After stumbling across this blog post entitled “Evernote doesn’t really care about security” I became convinced that it was time to leave Evernote. The security breach was actually the last straw in a number of things that have been bugging me more often than not — frequent crashes being the chief one. Sometime around when Evernote added Skitch, the whole shebang started crashing on me frequently. I’m a premium Evernote user, and dealing with the app crashing multiple times a day quickly became aggravating. It has been almost unusable at times. That does not bode well for something you need to access frequently throughout a given day. Then there were the issues where my notes were not synching between my laptop and my desktop, which I don’t really need to go into. You’ve probably had them too, if you are an Evernote user on more than one computer. 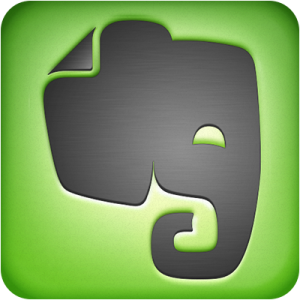 Lastly, I mentioned I was a paid Evernote user, but I never found myself using the paid features. The other big issue for me was with tagging – I would add tags to notes but then forget about them and never use them to find things. The inability to organize notes hierarchically is very necessary to me as someone who thinks that way due to my years as a sysad and developer, and I couldn’t get used to everything having to be arranged with tags. Security experts mostly agree that putting secure information in the cloud is not a very good idea. But I want to have faith that it can be, and there are companies making an effort in that regard. I turned to a solution that was right under my nose: Google Drive. Why Google Drive over Dropbox or some other service? Because it integrates easily with everything I already use, and more and more features and interactions with it are becoming available. I, for one, welcome our new Google overlords. I’m still working on moving everything over from Evernote to Google Drive, and it’s not a simple process, but I think I will be able to live with it. I’ll also be able to rest a little better knowing that, while my data is still in the cloud, Google seems to value it more than Evernote. Other fed up users are coming up with their own solutions for replacing their faith in Evernote.